The human body is made up of several inter-related organs. These may be kidneys, liver, lungs, and heart, etc. All of them work properly with the help of each other. Any body part that is not working up to the mark affects the body functions a big deal. Therefore, it is better that you visit your health professional whenever you face issues. Here we’ll cover two types of doctors related to kidneys, Urologists, and Nephrologists. There is a big difference between urologists and nephrologists. A Nephrologist is someone who deals with the diseases and disorders related to the kidney. They strongly focus on how the kidneys work and provide non-surgical treatments. On the other hand, urologists are pure surgeons who operate issues in the kidneys and urinary tract. They treat urinary problems, such as difficulty in holding urine, stones in the urinary system, and issues related to the male reproductive system. Urologists and Nephrologists are specialists who have to complete normal undergrad education and medical school. Talking about urologists, they have to perform internship training before they pass the licensing examination. However, Nephrologists have to do internal medicine once they complete the Nephrology fellowship program. Mostly, Nephrologists take initial experience from hospitals. Some of learn privately, whereas others like to work in groups, i.e., other Nephrologists. On the other hand, Urologists also go for private practice as well as work in hospitals. As you know that Urologists are surgeons, therefore, they have to work in a very intense environment. They often have to console patients who respond negatively to something or are in extreme pain. 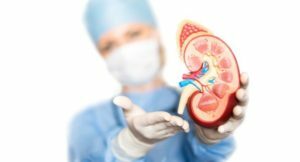 Normally, a Nephrologist deals with all disorders and diseases related to the kidney. This includes kidney failure, tract infections, and high blood pressure. 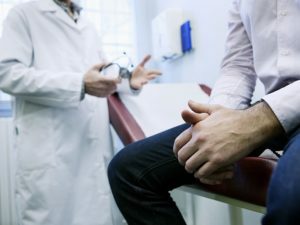 A Nephrologist usually asks the patients to go through some tests to diagnose the patients’ condition. Development of plans to cure the patient is a Nephrologists’ job, joining hands with other healthcare professionals. If the kidney of a person is not properly working or chronic disease is diagnosed, they recommend dialysis to clean the patients’ blood. Moreover, if there is a need for surgery, Nephrologists refer a urologist, but they are responsible for any care. 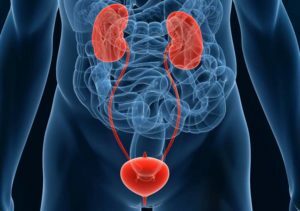 As discussed above, Urologists are responsible for disorders in all patients, and mainly in the reproductive system of men. They assess patients and diagnostic tests are ordered according to the situation. They work in collaboration with Nephrologists to make sure that the issues of the patient are solved easily. Furthermore, Urologists are also liable to deliver patient care throughout the treatment. Maintaining records is also important for Urologists to keep a track record of the patient. This will help if the person faces the same or related issue again. The responsibilities of both of them are almost the same. Therefore, it is better to make sure that you visit a Nephrologist at regular intervals. This will ensure that your kidneys are working in proper condition throughout. The human body is made up of several inter-related organs. These may be kidneys, liver, lungs, and heart, etc. All of them work properly with the help of each other. Any body part that is not working up to the mark affects the body functions a big deal. Therefore, it is better that you visit your health professional whenever you face issues. Here we'll cover two types of doctors related to kidneys, Urologists, and Nephrologists.